We are located just south of Michigan City, Indiana. Only minutes from I94 (exit 34A) and I80/90 (exit 39). Take Indiana exit 34A (Westville – 421 South). Travel approximately 2 miles to county road 200 North. Turn left onto 200 North. 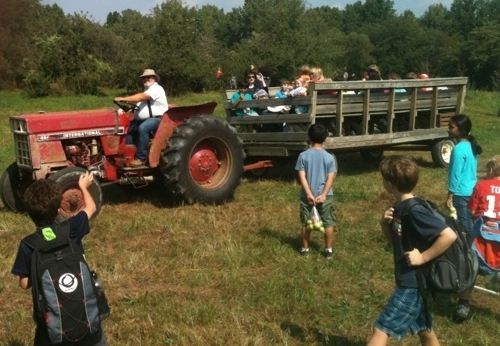 Travel another 2 miles to arrive at Radke Orchards. Take exit 39 (Michigan City). Turn North onto US 421, travel a little over three miles to County Road 200 North. Turn right onto County Road 200 North. Travel another 2 miles to arrive at Radke Orchards. Take US 20 West to US 421 in Michigan City. Turn left (South) on US 421 (Franklin St) and continue for about 5 miles to County Road 200 North. Turn left onto County Road 200 North and continue for about 2 miles to Radke Orchards. Take the Indiana Toll Road West to exit 39 (Michigan City). Turn left (North) onto US 421 and continue for about 4 miles. Turn right onto County Road 200 North and continue for about 2 miles to Radke Orchards. We welcome groups of any size. Whether you are planning a family outing or you need to arrange for a school group, we are happy to accommodate you and your group. If you are planning on bringing a large group, or require special accommodations, please contact us ahead of time to ensure that we are prepared for your arrival.